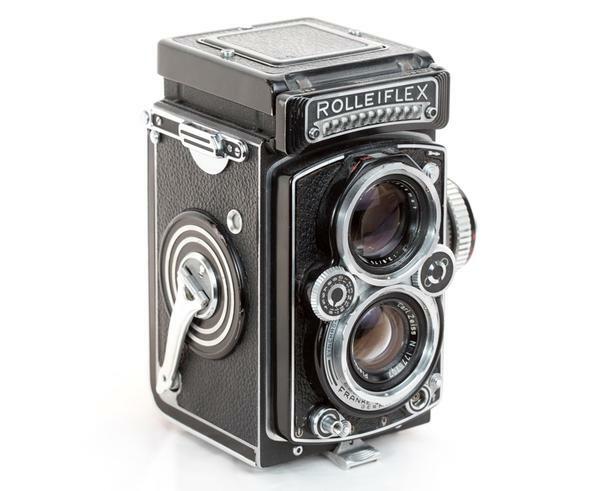 Twin Reflex Lens Rolleiflex 3.5E medium format camera uses 120 film. The negative size is 6cm x 6cm (2 ¼ inches x 2 ¼ inches). Call George at 604-765-7653 to take a look.